Patricia M. Bollman, age 89, of Monmouth, Illinois, passed away at 10:30 A.M. on Thursday, November 29, 2018 at Seminary Manor in Galesburg, Illinois. She was born on June 9, 1929 in Monmouth, Illinois. Patricia attended school in Monmouth and was a graduate of Monmouth High School with the Class of 1947. On June 28, 1947, she married Robert "Joe" Bollman in Monmouth, Illinois and he preceded her in death on March 28, 1979. For many years, "Mrs. Bollman" was the secretary of Willits Grade School here in Monmouth. She also worked as a cook for Maxey's Drive-In, also in Monmouth. 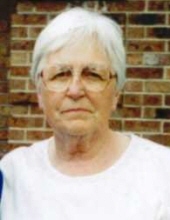 Patricia was a very active member of the First Christian Church in Monmouth, Illinois where she taught Sunday School and also drove the Church bus. She was an active member of the Monmouth Sports Boosters Club and enjoyed all sports. Patricia very much loved and supported her grandchildren. Patricia is survived by one son, Robert "Bob" (Lynda) Bollman of Inverness, IL, ten grandchildren, eleven great-grandchildren, and three great-great-grandchildren. She is also survived by one sister, Jean Reitman of Libertyville, IL and one brother, Dennis (Sue) Nelson of Florida. She is preceded in death by her parents, husband, one daughter, one son, one brother, and one sister. A funeral service is planned for 10:30 A.M. on Wednesday, December 12, 2018 at the First Christian Church in Monmouth, Illinois. Her family plans visitation from 9:30-10:30 A.M. prior to the service at the Church. Interment will be at Warren County Memorial Park. A memorial is being established for the Sunday School Program at First Christian Church. To send flowers or a remembrance gift to the family of Patricia M. Bollman, please visit our Tribute Store. "Email Address" would like to share the life celebration of Patricia M. Bollman. Click on the "link" to go to share a favorite memory or leave a condolence message for the family.